California Livin Home: Shake - Rattle and Roll! 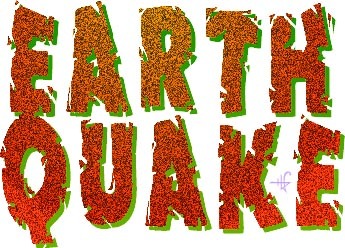 In my little coastal town yesterday we had an earthquake. The earthquake may have measured only 3.9, but it still could make history in Orange County. This quake could be the first one measured on a fault line found here in Orange County 13 years ago. Experts are always telling us after a quake that “this should be a wakeup call”. One comment in particular from the experts yesterday was that Orange County residents tend to think that only big earthquakes happen in LA. “Really?” Do you think we don’t know that ALL of California is susceptible? Come on! 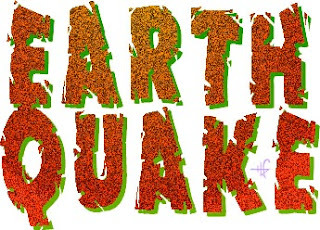 In fact the experts also report that this new fault line found could generate a magnitude 7 quake or greater. I am a native Northern Californian, was in San Francisco for the 1989 earthquake, 7.1 magnitude (smack dab in the middle, no really, on the Bay Bridge at one point!). And also lived on the Hayward fault all my life. We felt earthquakes all the time and you are going to tell me to wake up? Now I can’t speak for those that are transplants from other states and have never felt a quake but most times you do not even know one has occurred. We are in our cars, walking around or just simply do not feel them. To all the experts, I appreciate your heads-up but believe me, I am fully aware of where I live, what can happen and how devastating it could be. I don’t live my life for the what-if’s. I cannot worry about that which I cannot change and I have always said that we (Californians) may have our share of tremors but there are other places in our great country that suffer year after year far greater and devastating events like tornadoes and hurricanes that take out entire towns. I am not trying to minimize eartquakes, they can and are devastating when they do reach a high magnitude, but I live one day at a time and enjoy them. I cannot worry for the “may” or “may not” happening.